The Clance does as the Clance wishes. Blessings came aplenty for Tom Clancy fans this E3. Not only did we find out that Ghost Recon Wildlands will be gracing us with its presence on March 7, 2017, but we also got more than a few tastes of what exactly that grace entails. First up are a couple of cinematic trailers, which offer context on the Clance's latest offering. I'll be straight up, it mostly boils down to drugs. In fact, the whole thing boils down to drugs, but we find out more on just what cartel is benefiting from said drugs, the environment they grow said drugs in, and the personalities that surround it all. I'll be honest. I don't remember much about the days I spent attending church in my youth, but I can't ever recall our priest handing out wads of dough. The second trailer spends a bit more time on your team of four hardasses that apparently just spend their days hunting down anyone with "Santa Blanca Cartel" on their resume. Finally, Ubisoft's press conference showed off a pretty lengthy gameplay trailer, which follows a four player online co-op team as they take down one of the game's many missions. 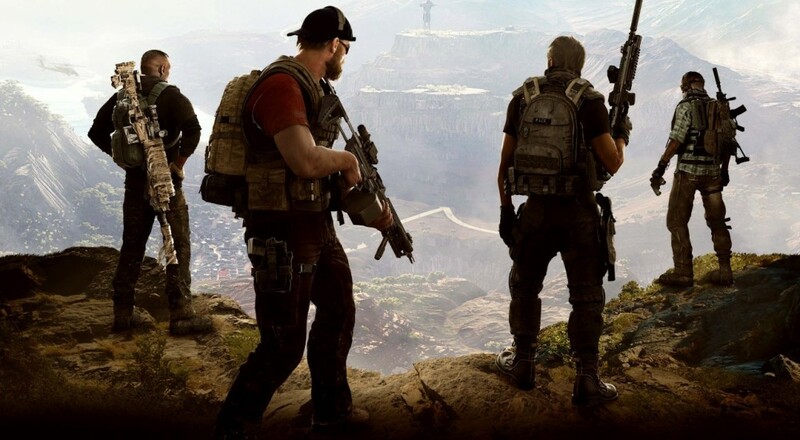 The Co-Opticrew is pretty excited to dive into the Wildlands, and this footage did quite a bit to justify that excitement. If you don't hear much from us come next March, well, send an SOS to fictional Central America. Page created in 0.3032 seconds.